From nowhere in 2001, China is now home to more than 375,000 foreign students to study in China in various universities across China. 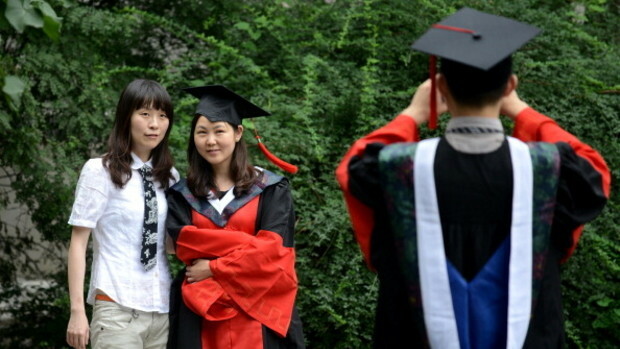 The total number of international students in China is expected to reach 500,000 mark by 2020. China is no stranger to international students and foreign students study in China no longer confined just to language and culture subjects when compared last two decades ago. International students now choose medicine, engineering and business degree as the main core study subject when enroll with Chinese universities. Coupled with the introduction of English-medium degrees courses offered by selective universities in China, the growth of the foreign students from non-traditional countries like UK, Australia and Africa are growing rapidly each year. In 2014, 377,054 foreign students came from 203 countries and regions to study in China, according to figures released by the ministry on 19th March 2015. Some students said they came to study in China because they were attracted by the country's political and economic development. Others viewed study in China as window to the world due to China's influences in international arena. Some said China offers the best of both worlds where education quality is comparable with many western countries with affordable tuition fees. Read the full story below and see how China's great academic leap forward! China is either at or near the so-called Lewis turning point, where it is no longer hugely productive to shift workers from agriculture to manufacturing. Now, growth will need to come increasingly from so-called total factor productivity, which itself is driven by technology and innovation, as Cai Fang, vice president of the Chinese Academy of Social Sciences, argues. China has been busy preparing for the change. During the past two decades, Chinese involvement in international science and engineering has drastically increased, new research from economists Richard Freeman and Wei Huang of Harvard University shows. In 1970, after the Cultural Revolution, the country had fewer than 50,000 undergraduate students and almost no graduate students, but this changed quickly in the 1990s and 2000s. From 1970 to 2010, the number of students enrolled in higher education globally rose by 500 percent, to 178 million from 29 million. Nowhere was this growth faster than in China. While in the U.S. the number increased 140 percent, in China, it rose almost 30,000 percent, and the country more than doubled its number of colleges. Of global total enrollment, China’s share expanded from nothing to 17 percent. For comparison, India’s share rose from 9 percent to 12 percent during the same period. It’s true that the quality of that education is still not top-notch. No Chinese universities are ranked within the top 100 institutions globally, according to the Shanghai Academic Ranking of World Universities. The government is investing heavily in improving quality, however, and there are now six Chinese universities in the top 200, up from none in 2003. Furthermore, the Chinese have invested in research links globally, and especially with the U.S. In 1993, China endorsed education abroad; more than a decade later, it began to subsidize large numbers of outbound students. 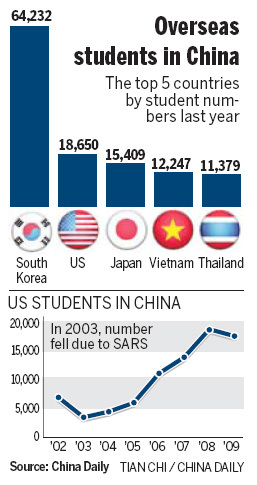 As recently as 2005, roughly 60,000 mainland Chinese came to the U.S. for higher ed; by 2012, there were almost 240,000. Mainland Chinese represent more than a quarter of international students in the U.S. These relationships also extend to research. China has become the top international collaborator for U.S. researchers. And by 2012, almost half of Chinese collaborations abroad were with Americans, Freeman and Huang have found.